January has been fun, we had a lot of snow and Kiwi has been enjoying lots of snowboarding at the numerous resorts close by. So far as soon as it warms up and the snow starts to melt within a few days we have another snow storm. It’s been nice to watch out the window and enjoy wintery walks. Whilst we had some time we visited Capitol Reef, one of the smaller national parks and admired the rocks and went petroglyph hunting. There’s been a fair old amount of baking in the house, mostly as I am still adjusting recipes to work at high altitude – this is a real thing and really annoying! I think though I’ve got my favourite brownie recipe to work. Now I’m waiting for mini eggs to start hitting the ships to add these in! We have been seeing a fair few sporting events, first basketball and then a gymnastics meet. I really enjoyed the gymnastics, I’m always so impressed at the athletes physicality, this was a great weekend. We have also been invaded for Sundance film festival, this takes place just up the road in Park City, and you can even Uber a helicopter to take you around! Craziness! We attended a few screenings which was very exciting. At the end of January I went on a trip to LA for a long weekend, it was great to walk along the numerous beaches, eat many ice creams and enjoy the warmer weather. So that’s life lately, and snuggling with the kitties of course. Last weekend, Kiwi and I finally got around to trying x-country skiing. There are several parks near us and this is a popular activity in the winter. 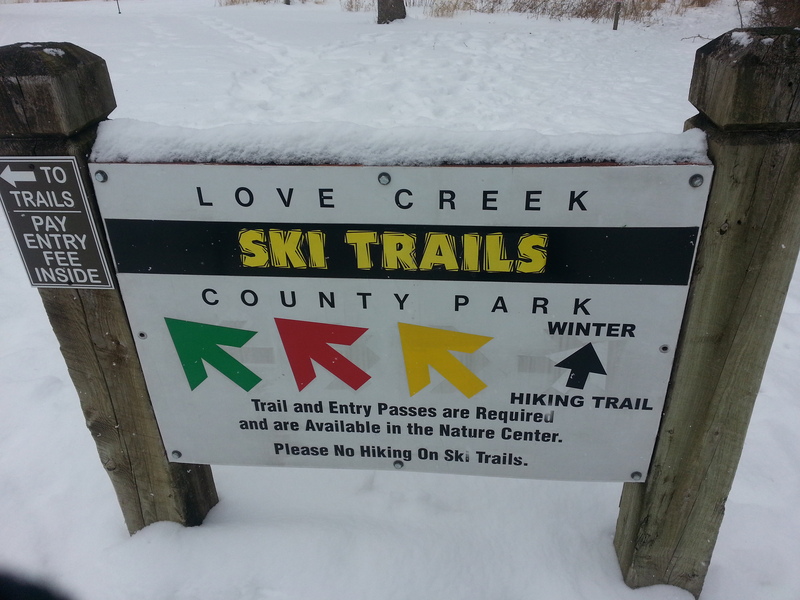 The parks convert their usual hiking and mountain bike trails into loops for skiers. Given the amount of snow we seem to regularly have, and the lack of many hills I can see why many skiers take up this winter sport. I was a bit reluctant to start with as a downhill skier I wasn’t sure there would be a great deal of fun to be had ‘walking’ on ski’s. Due to the lack of hills I figured it was probably going to be a lot of hard work. This was based on having ‘walked’ in normal ski’s which is exhausting.